On a fine Saturday morning, I realised that I am not cooking as much as I should / as much as I promised myself. 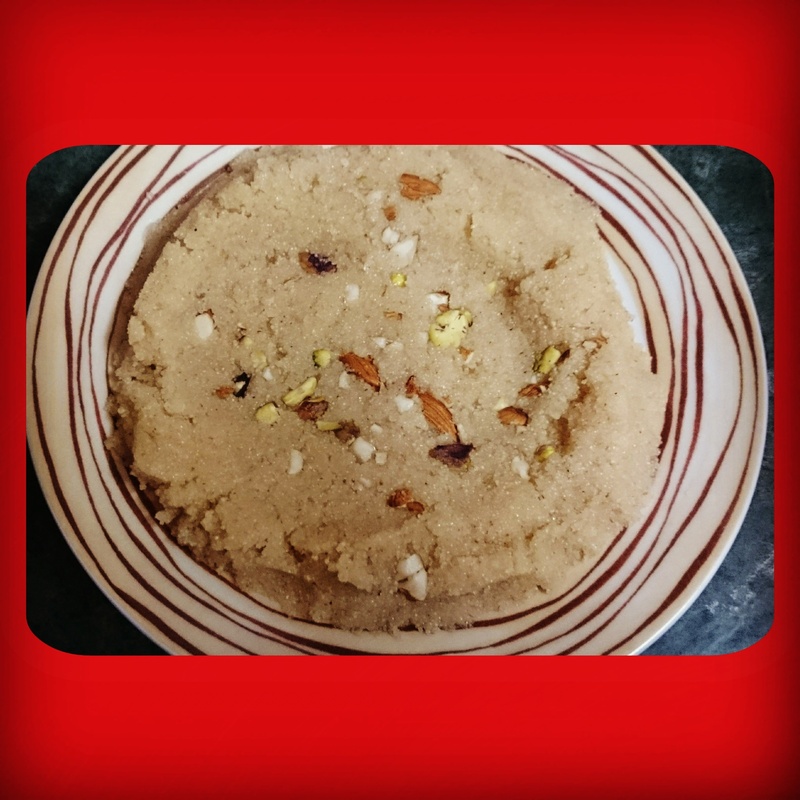 The beauty of this recipe is, you can use suji (rava / semolina) or akhrot (walnut) alternatively. It is easy to cook, fast to make and can satisfy hunger pangs if you don’t mind eating sweets. Add ghee to a pan. Melt the ghee. Turn the flame to low. Add Suji / crushed Walnuts. Roast till pinkish in colour and fragrant. Add a cup of milk and mix well. Roast till the mix is soft and the milk is not entirely absorbed. 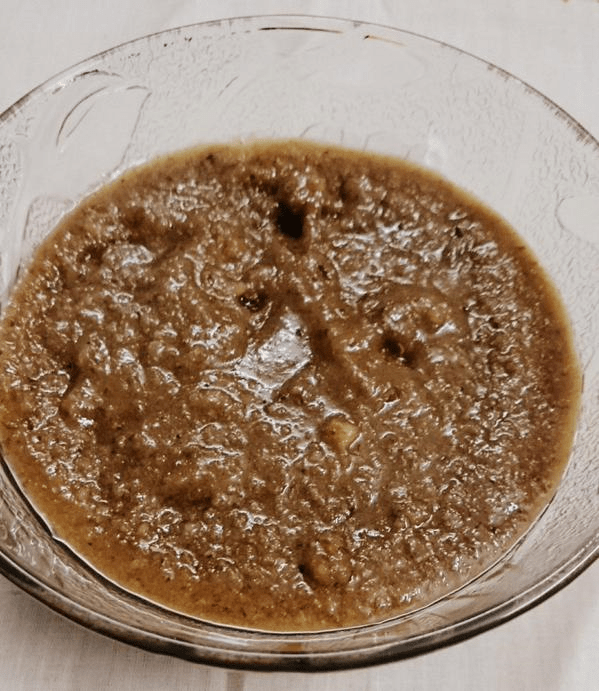 For suji ka halwa you will need to add a bit of water as Suji absorbs milk fast & you don’t want the halwa to be too dry. Add sugar & roast till the sugar is absorbed. Garnish with dry fruits. If you let the akhrot ka halwa sit for a while, it will harden a bit. Tastes like Walnut Fudge. If you want choco walnut fudge, add half tablespoon cocoa powder while it is soft & mix properly. Refrigerate for 30 minutes. Choco Walnut Fudge is ready!